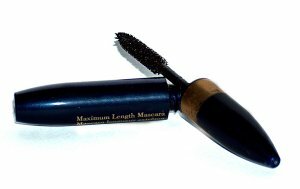 Mascara has long been a favorite cosmetic product. But just because it is one of the favorites, doesn't mean that everyone knows the best way to use mascara. For example, one of the easier questions about mascara is do you know what it is for? The answer to this one is pretty simple, in that mascara is designed to give you the appearance of long and healthy eyelashes. But why not learn the ins and outs of applying mascara, or how you would go about picking the right kind of mascara to name a few? Here's where you can do just that. The following articles are available for the 'Mascara' topic. Click the article''s title (shown in bold) to see the associated article. Mascara follows the basic rules of makeup and can still have the effect you desire. It emphasizes your eyes while still allowing others to see the real you. Mascara application is simple and quick—an excellent way to finish your look in the morning! Applying mascara can give the "finished look" to your eyes. If mascara is applied correctly it will enhance the look that you are trying to achieve for the day. Makeup is sometimes intimidating to buy and you can always be on the hunt for the perfect mascara. Here are a few tips to help you out with your quest in picking the right mascara! Mascara is a makeup staple, and you should know what's available to you. Waterproof mascara offers several perks that other mascaras don't. Learn about these perks and you'll seriously considering rethinking your current mascara choice.